In the Fall of 2007 David Silbert, MD, FAAP launched an eye clinic in an inner-city elementary school. Located in George Washington Elementary School (Lancaster, PA), the SDOL holds a racially and economically diverse population of students, the majority being Hispanic at 55%. After receiving a $135,000 federal grant in 2009, the KinderSee team purchased equipment to outfit a dedicated eye clinic to treat the in-need population. Dr. Silbert and Conestoga Eye make available the resources to provide first-rate eye care to their young and vulnerable patients at the school. Every month during the academic school year, Dr. Silbert brings his team of skilled ophthalmological staff to see students throughout the School District of Lancaster. During these visits, patients receive a complete eye exam comparable to a regular visit in his office, at no cost to the student’s family. Those who need glasses are prescribed them at the time of their medical visit. Parent must submit an application to be seen at KinderSee. For students who qualify, co-pays and deductibles are written off, thus no out of pocket charges arise for the patient. In the last nine years, Dr. Silbert and his team have seen more than 2,500 children in the KinderSee clinic: examining, treating, and performing surgery on hundreds of children who may not have received care otherwise. Dr. Silbert graduated from Wesleyan University in Middletown, Connecticut in 1984. He completed his medical training at Case Western Reserve University School of Medicine in Cleveland, Ohio in 1989, with an area of concentration in clinical decision analysis. Dr. Silbert completed an internship in internal medicine at the Washington Hospital Center in 1990, and an ophthalmology residency at Georgetown University Hospital, Center for Sight, Washington, DC in 1993. This was followed by a fellowship in oculoplastic and orbital surgery at Wills Eye Hospital in 1994, and a second fellowship in pediatric ophthalmology and strabismus at St. Christopher’s Hospital for Children, Holy Redeemer Hospital and Wills Eye Hospital, finished in 1995. 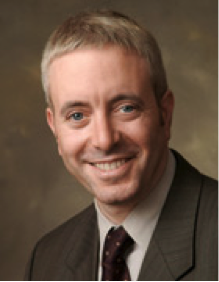 Dr. Silbert specializes in the diagnosis and treatment of pediatric and adult strabismus, amblyopia (lazy eye), tear drain obstruction and other pediatric eye diseases. He also specializes in cosmetic and reconstructive eyelid surgery as well as orbital surgery, minimally invasive tear drainage surgery for adults and has extensive experience using a Fractionated CO2 laser for blepharoplasty and laser resurfacing to tighten skin and remove wrinkles.